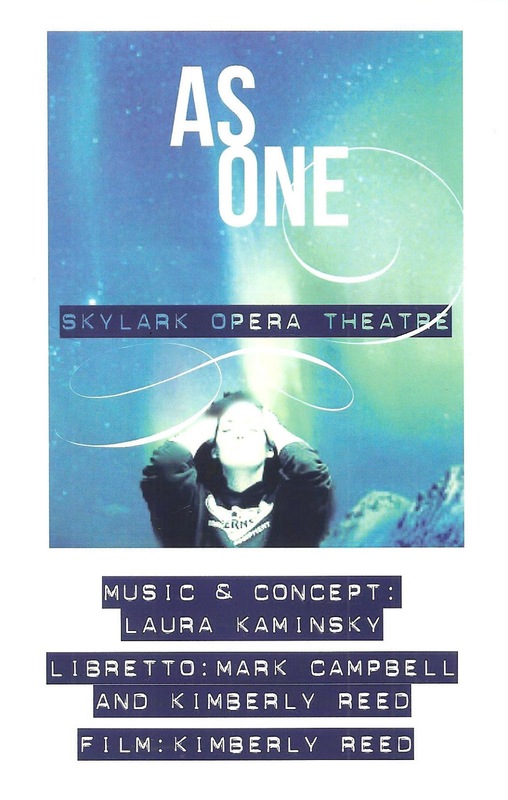 The new incarnation of Skylark Opera Theatre, under new Artistic Director Robert Neu, is presenting their third work of accessible, intimate opera. As someone who usually stays on the musical theater side of the music-theater spectrum, this approach seems like a good one for me, sort of bridging that gap between opera and music theater. After last year's stripped down adaptation of Carmen and an immersive Don Giovanni, they're now presenting a contemporary opera about a very timely subject. 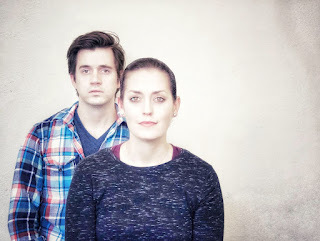 As One is a two-person 90-minute English language opera about Hannah, a transgender woman becoming herself. She is played by both a man and a woman, pre- and post-transition. It's a beautiful, heart-breaking, inspirational, ultimately hopeful story gorgeously told through music. The intimate new space that is North Garden Theater, in St. Paul's West 7th neighborhood, is the perfect location to experience this sparse-in-spectacle but rich-in-substance opera. But act fast - only three more performances remain this weekend (click here for more info and tickets). When I heard about this opera, I thought that the male singer would sing the first half, then turn it over to the female singer. But as it turns out, the situation is a little more nuanced than that. Instead we go through Hannah's journey (we never hear her deadname) with both her male and female sides represented. Because even when young Hannah looked like a boy to the outside world, the female voice was always inside her. The librettists (Mark Campbell and Kimberly Reed) very thoughtfully chose who would be singing what and when, to mimic that internal struggle, finally ending on the female singer as Hannah alone as she progresses in her journey towards her true voice. We follow Hannah through all the stages - childhood, the teenage years (which are awkward for all of us), leaving home, experiencing the violence that so many transgender people do (especially trans women, especially trans women of color), and finally taking a literal journey across the sea to truly discover who she is without all the usual distractions of life. It's an incredibly moving story, as the intricate, complex, gorgeous music (by Laura Kaminksy) expresses the emotions so much more clearly than mere words can. As Hannah before and after, Luke Williams and Bergen Baker are perfectly matched. It's quite easy to believe they're the same person, and they work beautifully together. They sound gorgeous individually and in harmony, and make us feel all of the emotions of Hannah. They're backed by a lovely string quartet under music director Jeffrey Stirling. All of this plays out on a small stage with just a couple of chairs as set pieces, but the actors do more than sit. Under director Robert Neu, they fill every corner of the space in a way that never feels static, but allows the piece to move and flow. Video projections of scenes and abstract images (film by Kimberly Reed, video direction by Ian Knodel) adds a lovely, haunting feel. Every performance includes a post-show discussion, which is such a smart choice by Skylark, because this is a show that begs for some sort of processing. On the night I attended, Rebecca Waggoner, Executive Director of Quorum, Minnesota's LGBT Chamber of Commerce, joined the cast and director. Quorum helps LGBT business owners succeed, and Rebecca shared some sobering statistics about the discrimination and violence faced by members of the LGBTQIA community, as the artists shared some of their insights on the piece. The post-show discussion is a wonderful opportunity to make something that is beautiful on its on as a piece of theater into something even more meaningful and relevant. As One continues through March 25 only.